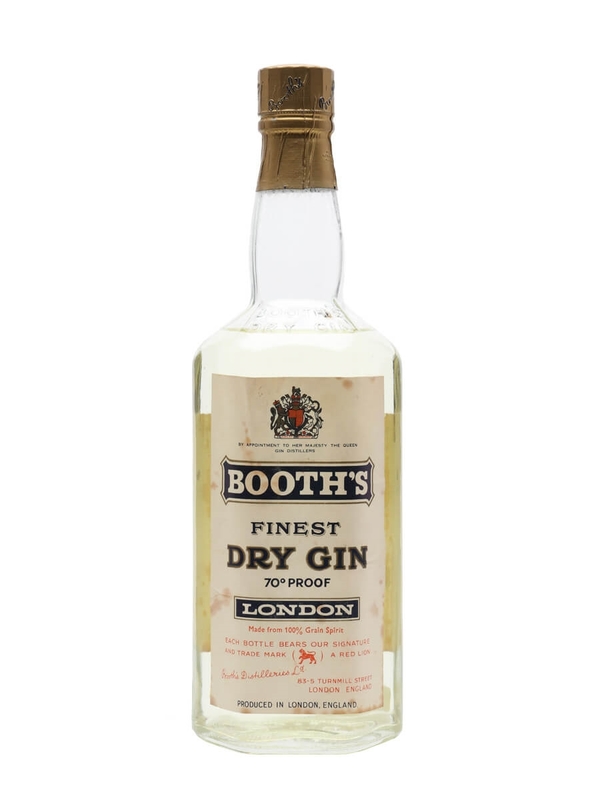 An old bottling of Booth's London dry gin. The brand was established by the Booth family in the mid 18th century and was produced in Clerkenwell. We estimate this bottle dates from the 1960s.